A lot has happened since The Grey Gatsby's most recent success in the Irish Champion Stakes of 2014, but the ever-popular grey will begin the latest chapter of his career in the care of Dermot Weld on Sunday when he returns from a 260-day absence. Now a six-year-old, the dual Group 1 winner does not carry a penalty for those successes and receives 3lb from British raider Air Pilot and mud-lover Success Days. Weld said: "It's The Grey Gatsby's first run for us and we're on a learning curve with him. He's been working nicely and I'm expecting a good run." Of his other representative, Shamreen, Weld added: "She hasn't run since winning a Group 2 over the course and distance in September. She should run well but I'm expecting her to progress from the run." Aidan O'Brien, who has landed three of the last four runnings of this race, relies on Johannes Vermeer. The trainer said: "We were happy with his run at Royal Ascot and he's been in good form since." 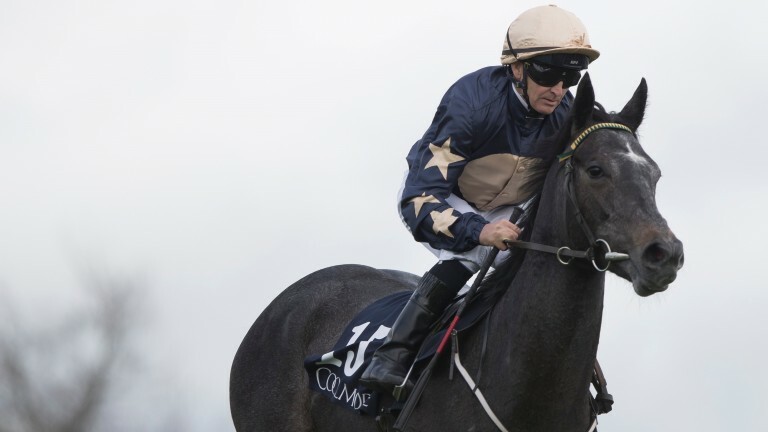 Ken Condon will be hoping Success Days can reverse the form with Air Pilot, who beat him into second in the Alleged Stakes at Naas in April, and the trainer said: "Success Days is very well and we'd like him to take his chance. We'd obviously like a bit of rain but I'd say he'd run with 'good to yielding' in the description." Ralph Beckett returns to Irish soil with Air Pilot and said: "He's in good form and likes the Curragh. I'm told there should be enough juice in the ground for him. Small-field Group 3 races are his gig." One-time Classic hopeful Moonlight Magic represents Godolphin, and representative Jimmy Hyland, writing on the owner's website, said: "We have lowered Moonlight Magic's sights after his disappointing run in the Tattersalls Gold Cup. His recent work has been very pleasing and we're expecting a good run." Eight up-and-coming juvenile fillies do battle in this Group 3 sprint and Aidan O'Brien is double-handed with the mighty Churchill's sister Clemmie and Wednesday's Naas winner Butterscotch. The trainer said: "Butterscotch won nicely at Naas and, while we're running her back quite soon, she seems to be in good form. Clemmie came out of her run at Ascot well. She was a bit green in the early stages of the Albany but ran quite well and we hope she's come forward from it." Johnny Murtagh is represented by the exciting Too Familiar, who will bid to remain unbeaten but is stepping into stiffer company. "We're very happy with her," said Murtagh. "It was always the plan to go here after bypassing Ascot. She'll have to improve on what we've seen so far but I'm very pleased with her and really looking forward to it." Ken Condon will be hoping for an improved performance from Mamba Noire, who finished down the field in the Queen Mary Stakes at Royal Ascot on a firmer surface than is expected here. Condon said: "Mamba Noire is fine after Ascot and she looked as if she'd appreciate stepping up in trip on that occasion. We retain plenty of faith in her ability and her home work is of a good standard. I think we'll see a bit more of what she's about on Sunday and the kindness in the ground won't hinder her chances." Dermot Weld said of his Moyglare Stud-bred Dundalk scorer Fille Du Septembre: "It will be a big step up for her but we're happy with her and looking forward to a good run."